The following is a series brought to StubbyDog from Our Pack, Inc. and Marthina McClay on Responsible Dog Ownership. This article was originally posted on Our Pack, Inc.’s website along with other great information on raising a pit bull. 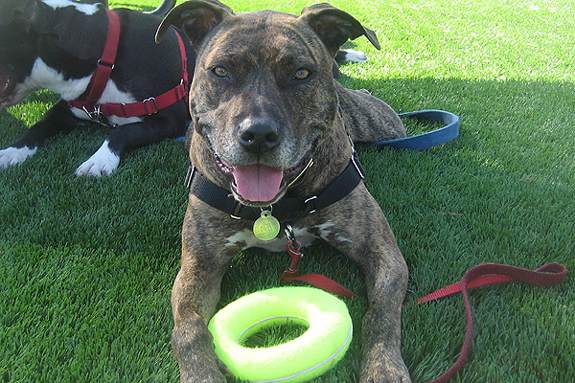 Pit bull guardianship is one of the most rewarding experiences dog lovers can have. Their affectionate natures, goofball personalities, and eager-to-please attitudes will likely steal your heart forever. Ultimately though, success depends on finding the right match between your lifestyle and the individual dog. •	You want a dog that lives to please you. Pit bulls are considered to be an extremely biddable breed. They’re happy when you’re happy with them. This eager-to-please attitude can be especially useful during training. •	You want a constant companion. Pit bulls are expected to be affectionate, happy dogs that want to be with you, near you, or in your lap! They’re professional cuddlers. Be sure you have the time for a dog that craves your companionship. •	You’re prepared to handle a smart pooch. Pit bulls are often intelligent creatures! However, any dog that becomes bored or an untrained dog can quickly get into mischief. Don’t expect to leave your dog in the backyard all day to entertain himself. •	You’re physically capable of handling a strong dog. Pit bulls are strong dogs. Like all dogs, you will need to teach your dog proper house and leash manners, and make sure his collar and leash are secure when going for walks. •	You’ve got thick skin. This breed is very misunderstood. Be prepared for ignorant comments and discrimination. Many times, the best response to a thoughtless remark is your pit bull, well-mannered and friendly! •	You have time to train and exercise your dog. Some pit bulls are couch potatoes and some would rather go for a vigorous hike. 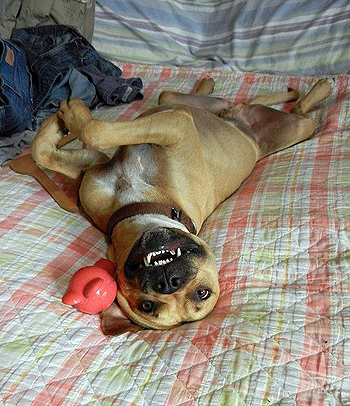 Make sure you’re prepared to meet the exercise needs of the pit bull you choose. Keep in mind younger dogs usually need more activity than adult dogs. •	You want a dog that can do it all. Many pit bulls excel at therapy work, obedience, agility, dock jumping, hiking, search & rescue, and just about any other dog activity you can imagine! •	You want a dog to guard your home and property. 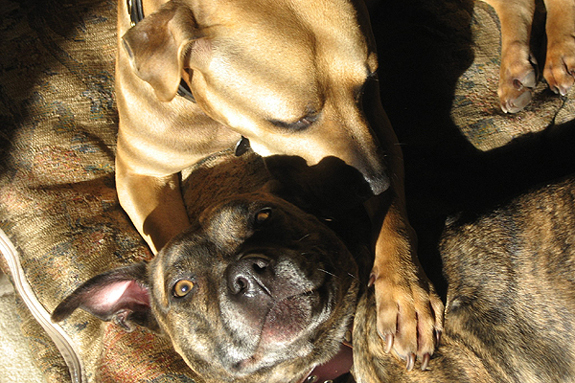 Pit bulls are not expected to be guard dogs, and should not be forced to guard. A well-socialized pit bull tends to be friendly and welcoming toward everyone. •	You don’t want a dog in the house. Your dog should NOT be left outside all day or night. Most dogs, including pit bulls, love to be with their people; if neglected they could develop severe behavioral problems. •	You’re not willing to invest the time and money to train and socialize your dog. All dogs need regular training and socialization throughout their lifetime. This can include puppy socials, training classes, regular exposure to new environments and different people, practicing obedience skills in various situations, and possibly hiring a private trainer to help you. And don’t forget the time and money spent for food, supplies, and basic veterinary care! •	You don’t have time to supervise your dog around other dogs or kids. Children should always be supervised around any breed of dog for both the child’s safety and the dog’s safety. If you currently have or plan to have other pets in the home, someone should be supervising when they’re all together. We recommend crating or otherwise separating your pets when you leave the house. Read more about Pit Bulls & Other Pets. •	You aren’t prepared for the future. If you rent, it may be significantly harder to find living accommodations with a pit bull since many landlords have strict limits on size and breeds. Also, who will watch your dog in case of an emergency? If your life will be changing dramatically in the near future (relocation, new baby, schedule change), how will you integrate your dog into this new lifestyle? Many dogs end up in shelters or euthanized because their previous guardians did not think through the implications of this lifetime commitment. I work full-time away from home. Can I still own a pit bull? Yes, you can hold a full time job and enjoy the rewards of pit bull guardianship. If you’re away during the day, realistically assess if you have the energy and financial resources to make sure your dog’s needs are met. You may want to consider adopting a housetrained adult dog instead of a puppy. Still not sure if a pit bull is right for you? Check out our Pit Bull Basics Class, a people-only class geared to help new owners understand the breed. Check our Classes page for the latest schedule. You can also mail [email protected] with your questions! All photos courtesy of Our Pack, Inc.
Good advice for considering dog guardianship regardless of breed!